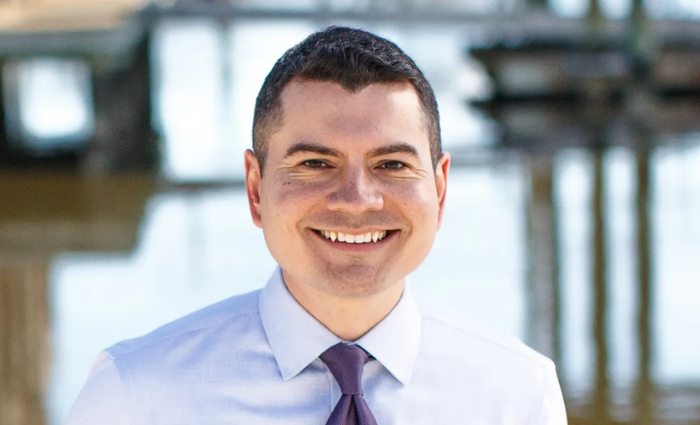 Join Sister District in supporting Phil Hernandez for the Virginia House of Delegates! Phil was born and raised in Hampton Roads, attended public schools, and received a Gates Millennium Scholarship, which made it possible for him to attend William & Mary, study abroad at Oxford University, and become the first in his family to graduate from college. He was determined to put that education to good use, to solve problems and serve others. Phil signed up to serve as a Senior Policy Analyst in President Obama’s White House Domestic Policy Council, where—for nearly four years—he partnered with leaders across the country to promote clean energy, fight for clean air and water, and help coordinate the response to the BP Oil Spill, the worst spill in American history. By making a contribution, you agree to receive emails from Sister District. You may unsubscribe at any time.